The Xperia X doesn't really fall into any camp as a smartphone. It's not the best-performer in any category, but it's not the cheapest of its kind either. It's lost some of the magic that Sony usually offers, and adds in some annoying bugs, but the base components of good audio and a capable camera will still win some hearts. The Sony Xperia X is a curious phone. It's a handset that's not being dubbed a flagship device, but seems to be packing many of the top-end features you'd expect from such a smartphone. Sony is pushing the X as having a killer camera with fancy new abilities to track objects in space, with the new technology designed to inspire you to capture more spontaneous images without sacrificing sharpness. Besides that Sony is still ramming in its other high-end technology, with Hi-Res Audio upscaling and powerful screen technology, all while keeping the price tag down compared to other flagship handsets. However, the confusing thing here is that we're not sure if this is Sony's flagship phone. 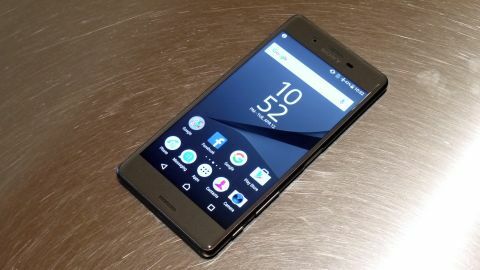 That technically doesn't matter – after all, it's what you're thinking of buying right now, and you just want to know how good it is – but if you're a Sony fan there could be something better down the line if the Xperia Z6 pops up any time soon. So, taking all this into account, what has Sony actually launched here? Is it a phone that's filled with compromises to hit a lower price tag, or is it a triumph of convergence? Is it the result of a brand that's spent years working out how to bring the very best features to its phones without breaking the bank, just tweaking the design to offer you a phone that lets you do what you need to do without stuffing in overly expensive components for the sake of it? This phone started off with a SIM-free price tag of £450 in the UK and $549.99 in the US. It's since dropped to around £339 in the UK, but that's still a high price for a phone that doesn't have one of the best processors on the market. It has also dropped to around $275 in the US, which is a huge drop and may make the phone worthwhile picking up. It's starting at around £25 per month on contract for basic amounts of data, which seems to fit the bill for a phone that doesn't have a high-end CPU and lacks features like waterproofing that you can find on the current 'flagship' Sony phone, the Xperia Z5. The Sony Xperia X launched in May 2016 - alongside the Xperia XA - in the UK, and is now being rolled out worldwide. Sony's also going big on design on the Xperia X, curving the glass into the sides of the phone to bring a more smooth and refined appearance to things. The X still brings the boxy design that's a feature of the Xperia range – that's not to say it's ugly, but it doesn't make the phone stand out as a striking device when you pick it up for the first time. The 'matte glass' feel to the back is nice, and there's no doubt when you first fondle this handset that it's not a cheap phone. However, the placement of the volume keys below the fingerprint scanner is far from ideal. It means you constantly have to shift the handset around just to change the level of sound you're listening to, and that seems like a weird thing to do. The power button doubles as a fingerprint scanner, and it's pretty accurate – rarely were we frustrated by it mis-reading our thumb. It's also the natural resting place for a thumb or index finger (depending on whether you're right- or left-handed, resulting in fewer instances where you'll be angrily tapping the button just to get into your own phone. If you like the way Sony puts its phones together, then you'll like the way the front glass helps the phone fit into the hand, with the lime gold colouring particularly impressive. However, it's far from the sleekest phone on the market, and Sony highlighting the new design as a big feature shows there's not a lot else to talk about with this latest device. If you compare this phone to some of the other larger handsets on the market (including the Sony Xperia Z5, which many will want to look at as well given the slight increase in power it offers) it's definitely more palm friendly, with the 5-inch screen fitting nicely within the frame. In fact it's actually quite irritating that Sony hasn't given the Xperia X a wider screen, as the cheaper and less powerful Xperia XA has an edge to edge display that's really something to look at - it's worth a look if you're into the aesthetics of a phone. Oddly for Sony this isn't a waterproof phone, again hinting that it's tipped towards the more budget-conscious (and will therefore hopefully keep plummeting in price). However, the SIM and MicroSD slots are still together and can be removed with a pull of the fingernail (rather than having to hunt for a SIM tool like on the iPhone). The design of the Sony Xperia X is, well, only fine. It's average. It looks like a Sony phone, and is fairly bezel heavy. I like that the glass is curved in a little at the edges, and in some colors (such as Lime Gold) it looks nifty - but it's far from the best-looking around.